Teachers at Hallinan Elementary will now have the opportunity to take their lessons outside, thanks to a new outdoor classroom created to give students an alternative learning space beyond the school's walls. 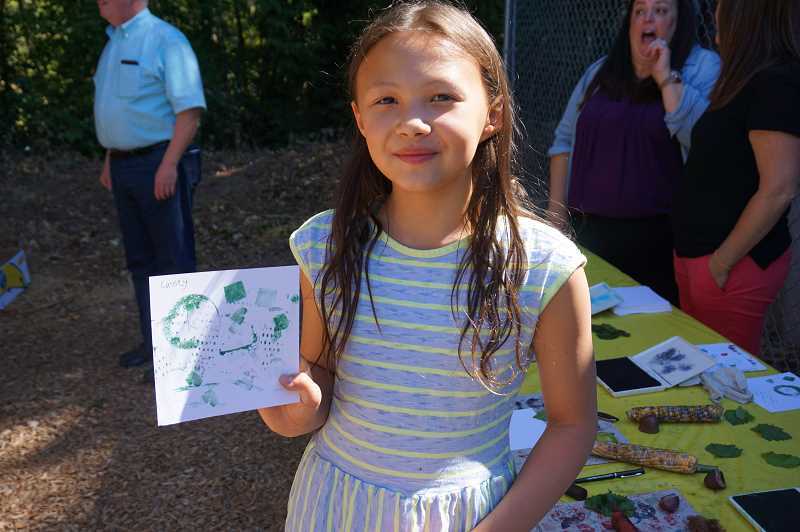 A ribbon cutting for the outdoor classroom was held Sept. 7 in conjunction with Hallinan's fourth-annual Harvest Festival, an event centered around the school's thriving community garden. The idea for the outdoor classroom was originally conceived by Natalie Friis, a former Garden Committee chair and Hallinan parent, who has since moved out of the district. The two-walled, 12-foot-tall, 680-square-foot structure received monetary support from a City grant and individual and business donations, and was constructed by parent volunteers. 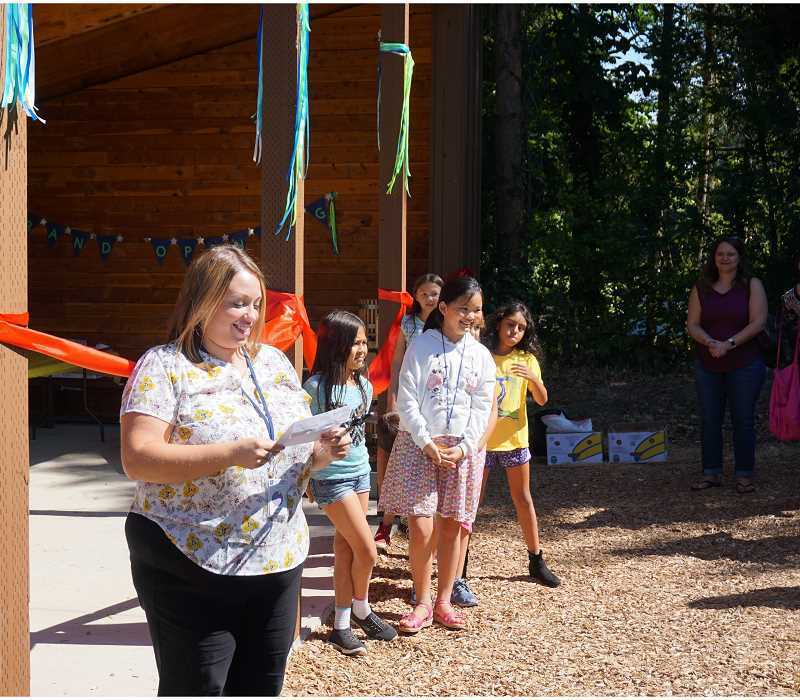 The new space was the highlight of this year's Harvest Festival, as students joined Principal Melissa Griffiths and Garden Committee Chairs Jennifer Daniello-Boyer and Sara Prohaska to cut the ribbon and officially open the structure to students and teachers. "I loved that students, volunteers, PTO members, community members, district and Hallinan staff were all present to dedicate this space and partake in the ribbon cutting," says Griffiths. "It was an incredibly special moment and I was honored to be a part of it." 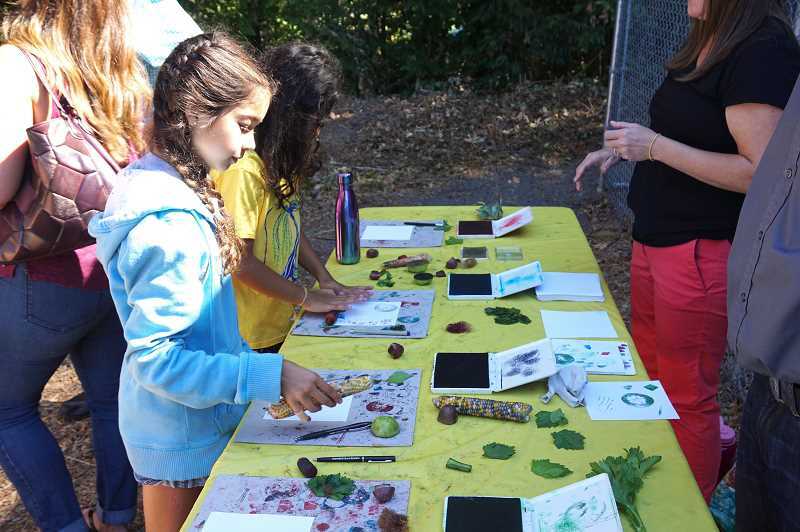 Students visited different booths throughout the outdoor classroom and the community garden, where they learned about medicinal herbs, how worms are vital to gardens, and about water and soil conservation. They even created art with stamps made from vegetables, made their own fresh-pressed apple juice and got a chance to try some delicious food made with ingredients that they harvested from the school's garden. The entire Harvest Festival is a valuable experience, Daniello-Boyer says. "They are making connections about ecosystems, they are seeing how the community works together, they are trying foods that are perhaps outside of their comfort zone, and they are interacting with different people and enjoying it all in a less structured environment," she says. "Students are so completely engaged when they're out in the garden." Daniello-Boyer says the outdoor classroom has been working perfectly in conjunction with the established garden. 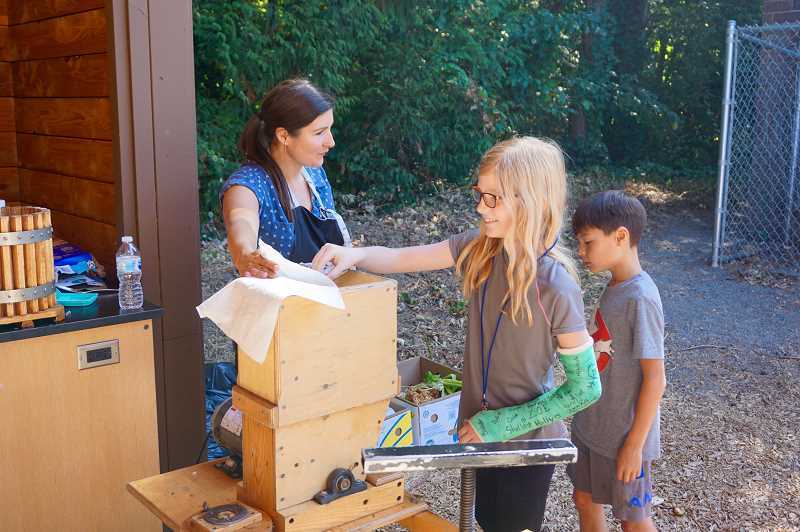 "We've been able to use it at the Harvest Festival, teachers are enjoying bringing their classes out for instruction time and we look forward to being able to use it much more for garden lessons and dissection projects for science," she says. "The garden and the outdoor classroom provide students with so many opportunities for growth." Parent Sandra Andrews, who has a 6-year-old and an 8-year-old at Hallinan, says she is excited for students to have the opportunity to learn in the outdoor classroom. "It'll give them a nice break from being inside all day," she says. "They can do anything in this classroom, but it'll be really great for garden and science lessons." "The outdoor classroom provides a unique space for teachers to extend learning. This amazing space offers an extension of their traditional classroom, a place for experiential learning and opportunities for students to explore," she says. "Kindergartners to fifth-graders can all find curiosity and enchantment from learning outside." Daniello-Boyer says she has seen more parents get on board with the community garden and outdoor classroom this year. "Oftentimes, when we ask for parent volunteers, the garden slots are the last ones filled," she says. "This year, we're only two weeks in and they're all filled. Parents are seeing the value in the garden, and in working outside. It teaches students the value of hard work and is such a great opportunity for them." In the coming year, Griffiths, Hallinan teachers and the garden chairs will work with Larry Zurcher, the district's Teacher on Special Assignment for Science, Technology, Engineering and Math, to ensure that the outdoor classroom and garden are aiding the students' education as much as possible. 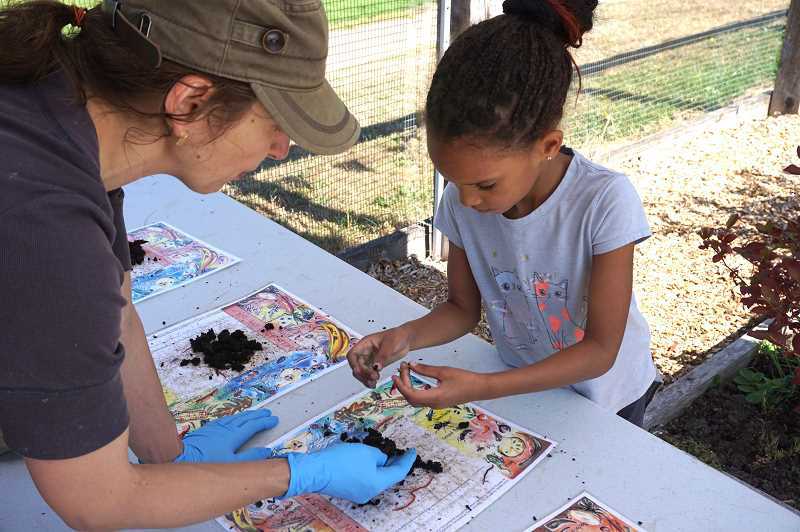 "The biggest benefit the garden brings to the school is that the kids are getting more hands-on activities such as digging in the dirt, finding bugs and studying the way certain plants grow," says Daniello-Boyer. 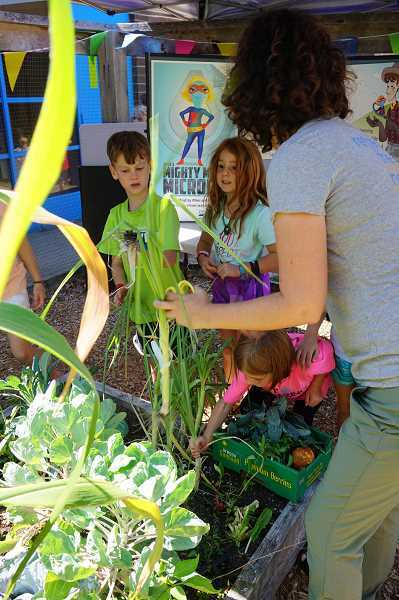 "It is stretching their thinking with math, science and technology, and they are working on applying those principals to gardening." Daniello-Boyer says one of the biggest lessons for students in the garden is how to grow from their mistakes. "We're OK with failures, or with things not being perfect. We want the kids to learn from their mistakes and be proud of the hard work that they put in," she says. "It's a really fun way for them to learn."